Compatible with all portable drives such as thumb drives, memory sticks & external hard-drives. PC independent, does not require installation on the other end, true plug and play protection. With a single click, your files & folders are locked using the latest technology in data security. Multiple layers of security prevent criminals from accessing your receptive files and folders. View or modify your protected files & folders securely through the virtual drive interface. 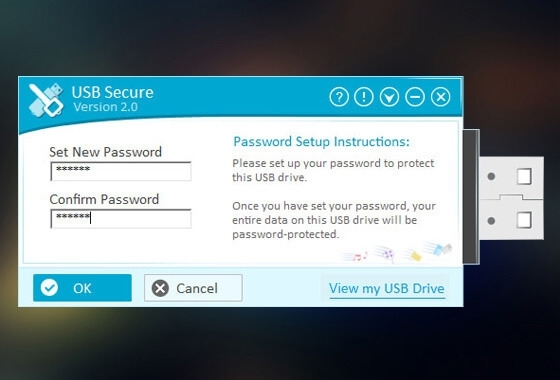 Simple & user-friendly interface makes it effortless for anyone to quickly lock their files & folders.